On Thursday, September 27, 2012, at approximately 2:00 p.m., Animal Control Officers with assistance from officers from the Anne Arundel County Police Department’s Eastern District served a search and seizure warrant on a home in the 8000 block of Lockwood Road in Pasadena for a follow-up investigation into the amount of animals inside of the residence and to investigate their safety and welfare. During the warrant service, Animal Control removed 40 live animals from the property including two dogs, one cat, two turtles, seven birds, four chickens, one goat, one pig, one chinchilla, three snakes, 12 aquatic animals, three geese, one duck, one kinkajou, and one tarantula. Additionally, Animal Control removed one deceased domestic rabbit and numerous deceased quail. The majority of the animals removed from the residence had no food or water or water that was not palatable, and animals were being housed in unacceptable conditions that did not meet their basic needs of care for their species. Anne Arundel County Animal Control and other government agencies including the Maryland Natural Resources Police, Department of Natural Resources, The Health Department, Department of Agriculture and Building Inspections have been attempting to work with the occupant of the home on concerns since August 31, 2012. On August 31, 2012, five wild rabies vector species, animals that can carry and transmit rabies, were confiscated from inside the residence and subsequently sent for testing. Shortly after the first visit from government agencies, 10 animals were voluntarily surrendered to Animal Control. Animal Control was able to successfully find rescue groups or adoptive homes for these animals; however, the owner subsequently obtained more animals. The investigation is ongoing and charges are pending. Animal Control is assessing the seized animals and will be actively working with rescue groups for the placement of the animals that the owner surrendered on September 27, 2012. Animal Control may be looking for foster homes to house and care for animals that have been taken into protective custody, but not surrendered to the agency. Animal Control would like to thank the other agencies who assisted during this process. 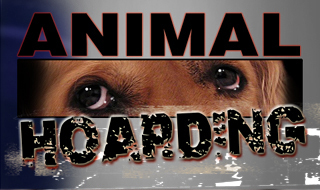 Animal Control would also like to thank those staff members involved in the search and seizure along with staff involved in caring for the seized animals and helping animals in need.